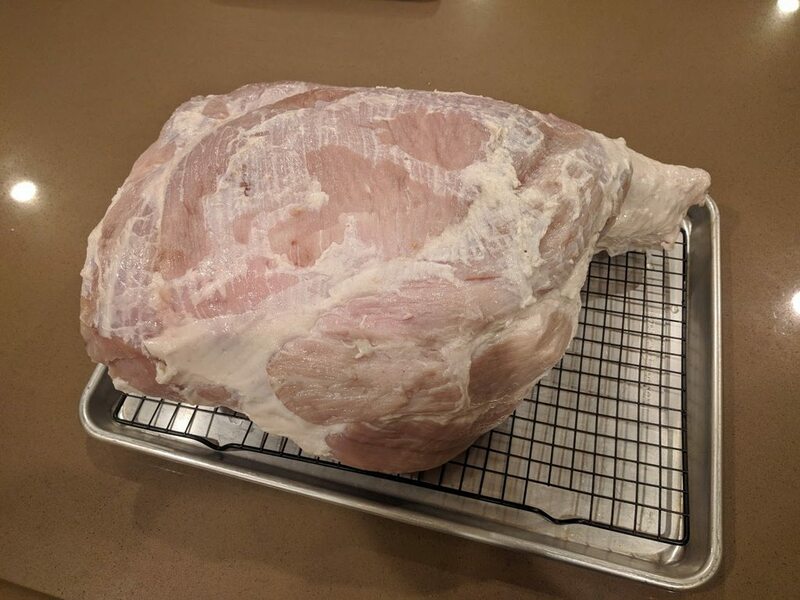 It's That Time Of Year--Home Cured Ham--Ongoing Thread - The BBQ BRETHREN FORUMS. 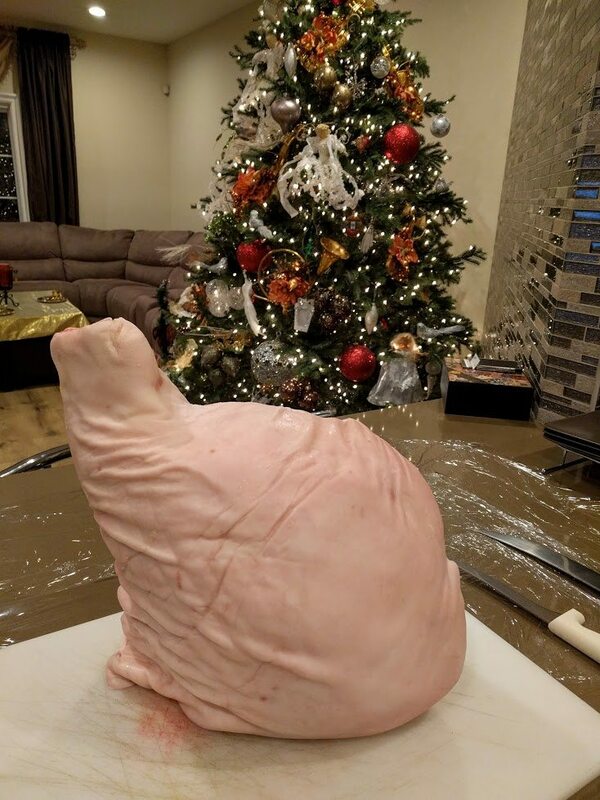 Every year for New Year's I cure my own ham and this year is no exception. Only difference is that this year being out of town longer than usual changed the time frame a bit. I fell behind a couple days but that's alright. 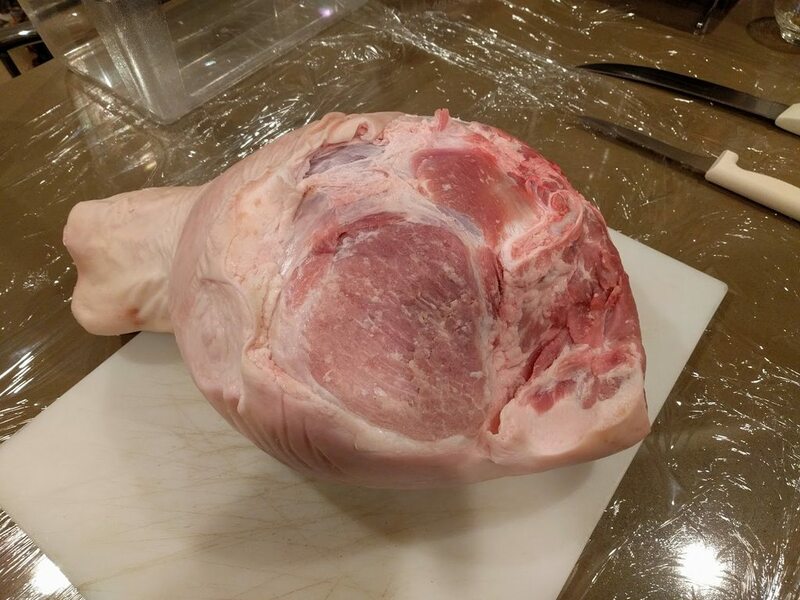 Do you inject any of the brine, like in the area around the bone? I'll be watching neighbor! Looks like fun. Must turn out great if you do it every year! I don't inject. 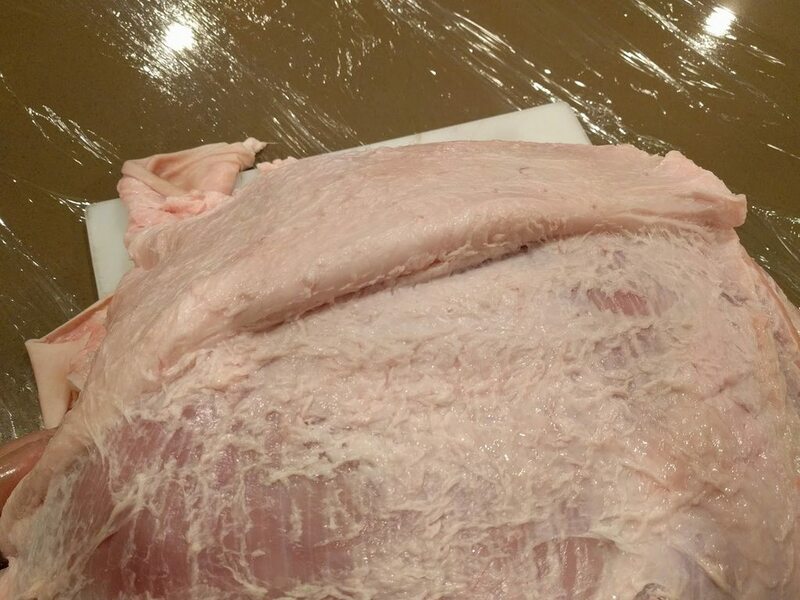 I found no need to inject since the curing brine penetrates all the way through to the bone. 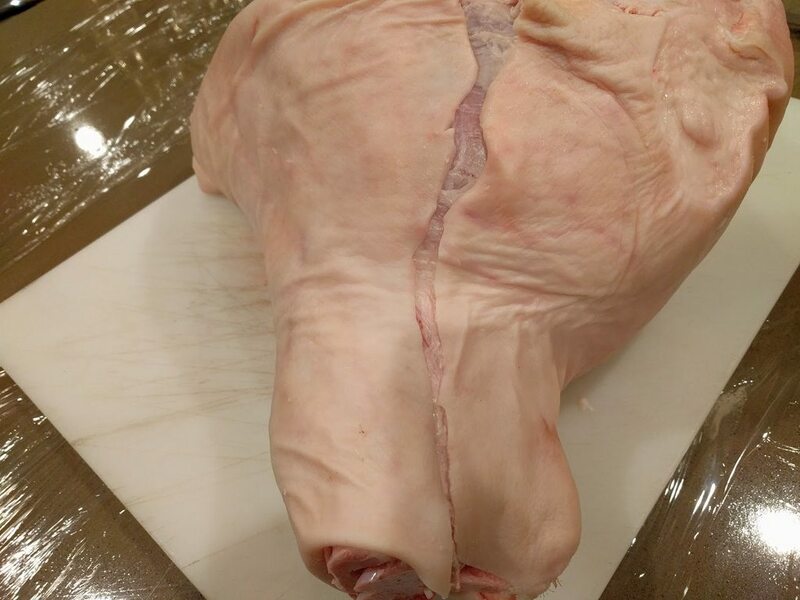 Just have to leave it in the cure long enough. Good to know from an actual hands-on point of view... in other words a proven method. 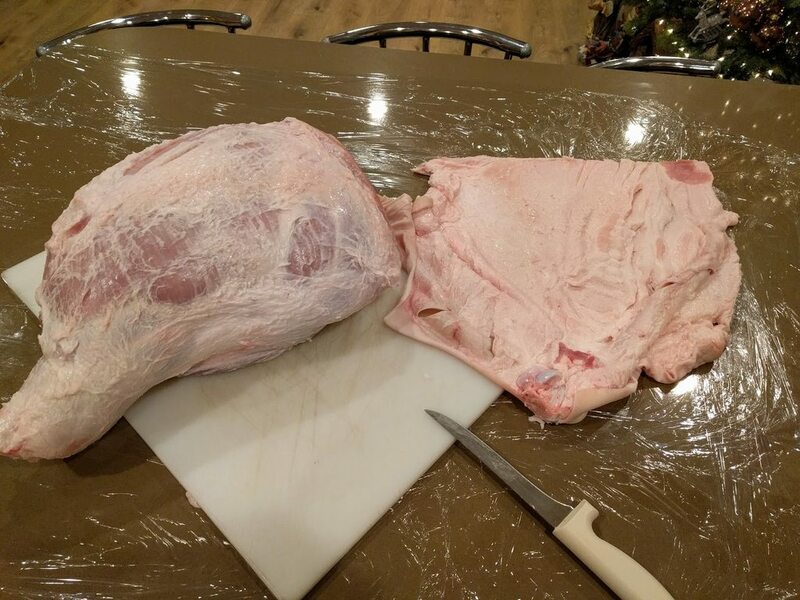 I've made Buckboard Bacon and Buckboard loin for years, but the cure is dry, and only a 7 to 10 day process. 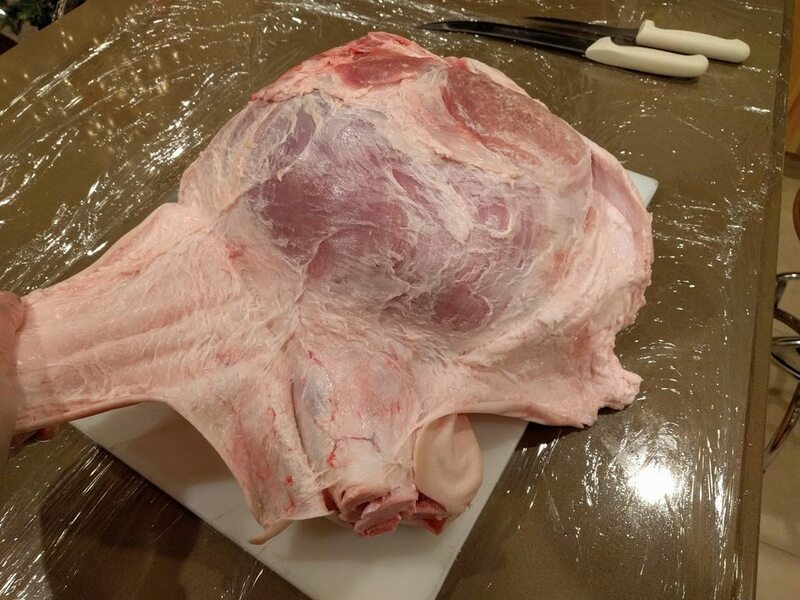 For the wet cures... my Morton's handbook stresses injecting a brine (aka sweet pickle and pumping pickle) around the bone so that the brine can work from the inside out at the same time it's working from the outside in. I think the term for the actions they are attempting to prevent are bone sour and bone taint. 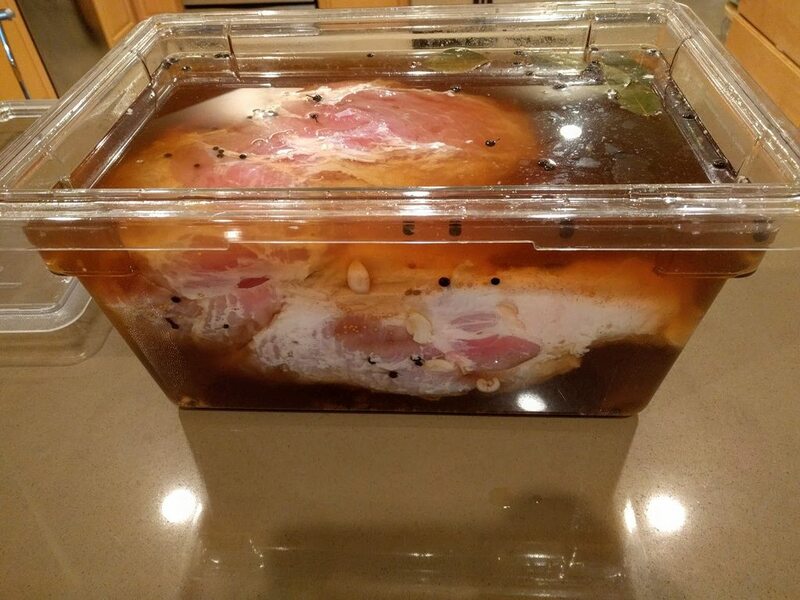 For what it's worth, they are using their own Tender Quick product for the brine, are you maybe using a stronger curing agent like pink salt (aka Instacure #1)? Looking forward to this one Sako, of course I look forward to all your cooks. Just saw you're question Ted. A rule of thumb I go 1 day per 2lbs. After trimming it was about 25 lbs so I went 13 days. I hear you. I have no experience with TQ so it seems it's different. 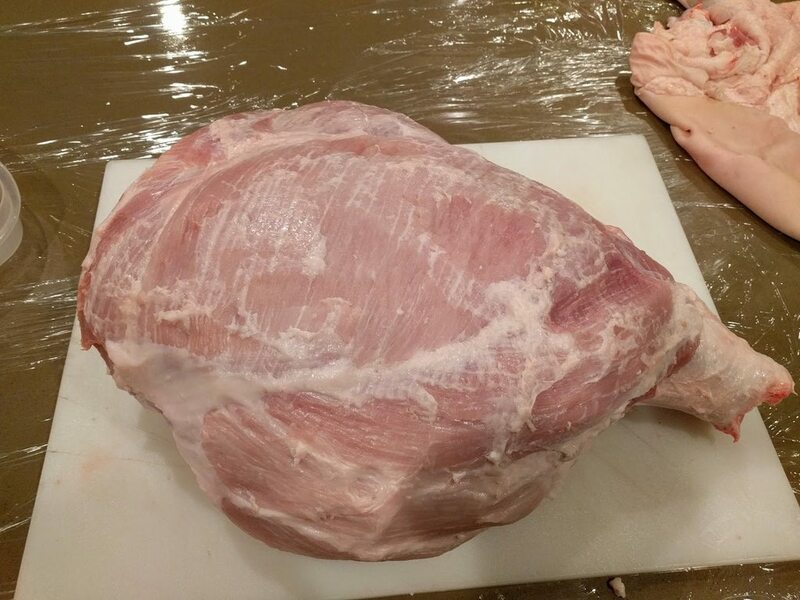 I've always used Instacure #1 for buckboard bacon, bacon, sausage, hams and #2 for capicola and such with great success. Never had issues where I saw a need to inject. Looking forward to see this play out. Tender Quick was designed with the home processor in mind... it's a salt, sugar, nitrite, nitrate blend and because of the concentrations of curing agents it was marketed as being safer (more forgiving) than the #1 and #2 curing agents. Naturally Morton's came out with a number of recipes, booklets, guides etc., which featured this product. To my knowledge there is not even a reliable conversion of recipes using pink salt and Tender Quick, I've even visited with Morton's engineers for insight. But in my experience there can be a wide swing in techniques, and some of the best advice is to follow a method that has proven results. I do home canning and see similar trends. I use as minimal as I can use to get by as long as I deem it safe. Basically making sure there's enough cure to prevent botulism. I've seen some insane amounts being used at times. I scaled back significantly from the earlier times of using pink salt. I agree there is no proven method and mine has been trial and error until I was happy.